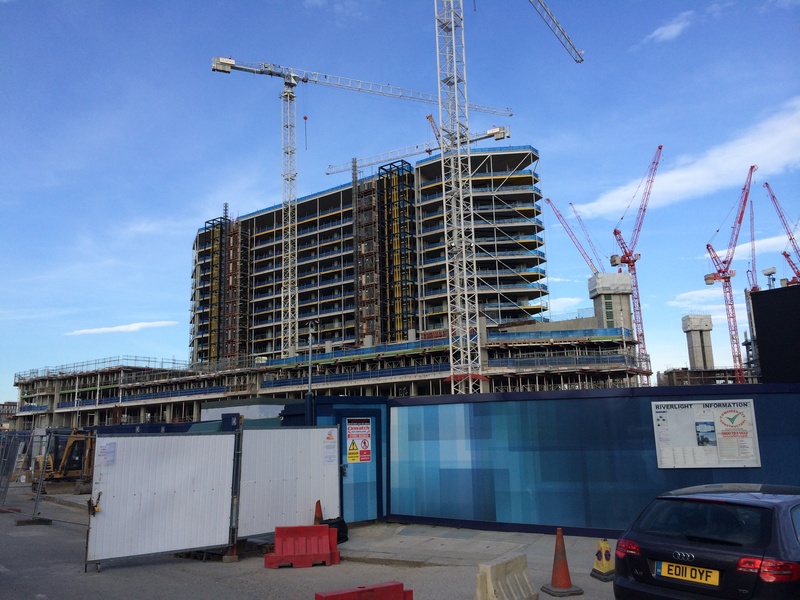 Just to the west of Vauxhall station, Nine Elms is one giant building site right now. Roads are closed off to all but construction traffic and giant cranes fill the skyline. Countless workers are helping build some flagship new developments for the capital, including a new US embassy and thousands of apartments just a stone’s throw from the river Thames. Perhaps the most high profile project is the £8bn renovation of Battersea Power Station, a white elephant since it was shut completely in 1983. After many failed attempts at re-development, work to convert it into luxury apartments has now actually begun. Last January 600 of the 800 apartments in a new block called Circus West next to the former generator were sold in just four days. And in May 2014 250 apartments inside and on top of Battersea Power Station will go on sale in London, with the top price potentially being £30m (and this time round there will be no roads shows in the Far East, as was the case last time round). It will form a new quarter with homes, shops, offices, restaurants and other leisure amenities. The CEO of the development has high hopes: “Battersea Power Station will be on people’s top five things to do in London. They will say ‘Let’s go to Buckingham Palace, let’s go to Covent Garden, let’s go to Battersea Power Station’ because it’s a great place whether you want to shop, go to the theatre, go to the cinema, or you want to live here, or you want to set up a business here and work here. But what fascinates me about this area is the fact that the old, industrial London hasn’t disappeared completely. In the shadow of the new apartments is New Covent Garden Market, the capital’s main fruit and vegetable market since it was re-located from its traditional home in 1974. 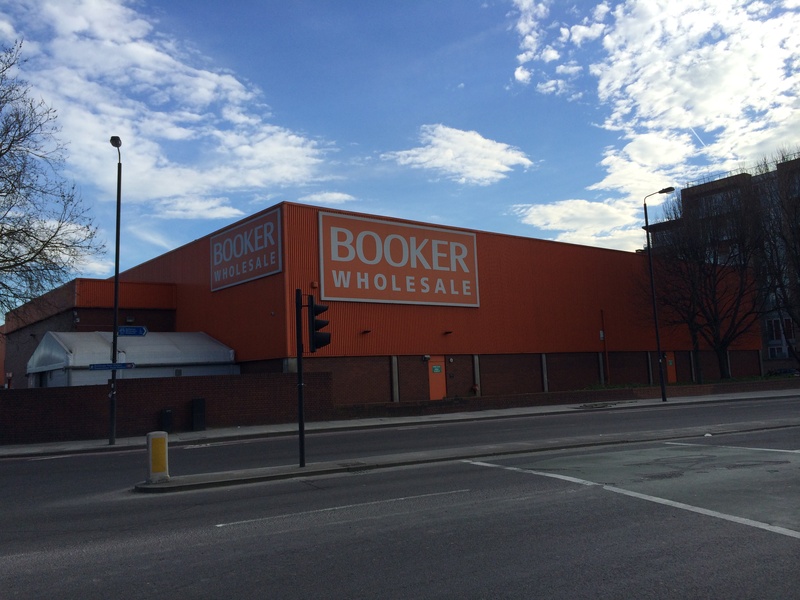 There’s a large Royal Mail depot, a Booker Cash & Carry, car showrooms and numerous functioning commercial units. Right next to the Battersea Power Station development there’s a waste disposal plant. Over time many of owners of these businesses will no doubt be made generous offers to re-locate and new apartments will be built. But for some time ‘fashionable London’ and ‘working London’ will co-exist here. The fact that industry remains for now does however provide a fitting link with the past, when Nine Elms consisted of potteries, lime kilns, breweries, timber yards and gas works. Nine Elms, so named in 1645 after the trees that lined the road way, was described in 1838 when the London and Southampton Railway was being built as “a low swampy district occasionally overflowed by the Thames [whose] osier beds, pollards and windmille and the river give it a Dutch effect.…” Nine Elms railway station opened on 21st May of that year as the company’s terminus, but was closed when the line was extended to Waterloo in 1848. The redundant station and the surrounding area became the London and South Western Railway’s carriage and wagon works until operations were re-located to Eastleigh in 1909. Meanwhile, on the south side of the railway track, was the company’s largest locomotive depot until 1967 when the buildings were replaced by the flower section of the New Covent Garden Market. Nine Elms was also where Vauxhall Motors was founded in 1857 by Scottish engineer Alexander Wilson (the company was originally called Alex Wilson and Company). Operations were moved to Luton in 1907 and there is a plaque commemorating the site of the original factory at the Sainsbury’s Nine Elms petrol station. In the west, Battersea Power station was designed in the late 1920s by Giles Gilbert Scott in the shape of an upside billiard table on the site of a 19th century-built gas works. The coal-fired plant was soon producing 400, 000 kilowatts of electricity and, when it was later enlarged, it became the largest brick building in Europe. Its opening was a huge breakthrough in power generation in the UK in that until the 1930s electricity was supplied by small, municipal undertakings. Rather than individual companies supplying a group of factories and selling excess electricity to the public, Parliament decided there should be a central power grid, hence the decision to build Battersea. 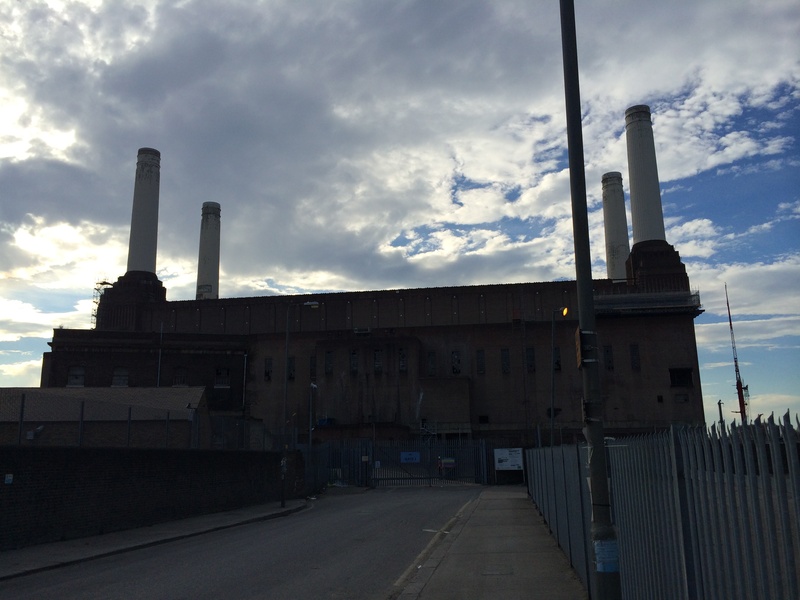 From a design perspective, the power station was a hit with the critics and was described as a “temple of power” and ranked high up the list of London landmarks alongside the likes of St Paul’s Cathedral. The Architectural Review revealed in 1939 that a panel of celebrities considered it their second favourite modern building. Inside, the control room had Art Deco fittings and Italian marble was used in the turbine hall, alongside polished parquet floors. It was declared a heritage site in 1980 when the building was awarded Grade II listed status (this was upgraded to Grade II* listed in 2007). Re-development of the George Wharf, with homes as well as riverside restaurants, was a significant step forward for the area, given the former gas and vinegar works had laid derelict for a number of years. 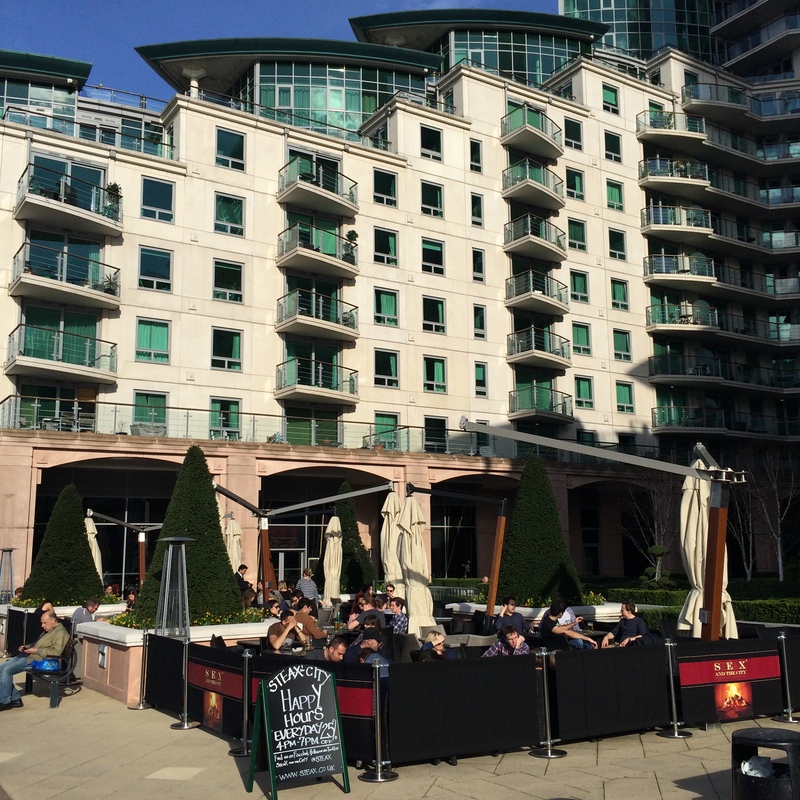 When I visited on a warm sunny afternoon it was the perfect location to stroll along the Thames and take in all the exciting new buildings that are springing up in this area. This had previously been a district with poor housing and sanitation, so the transformation is enormous. It won’t be long until the transition to luxury living is complete.